Mechanical pushbutton lock eliminates problems and costs associated with issuing, controlling, and collecting keys and cards. Provides exterior access by combination. 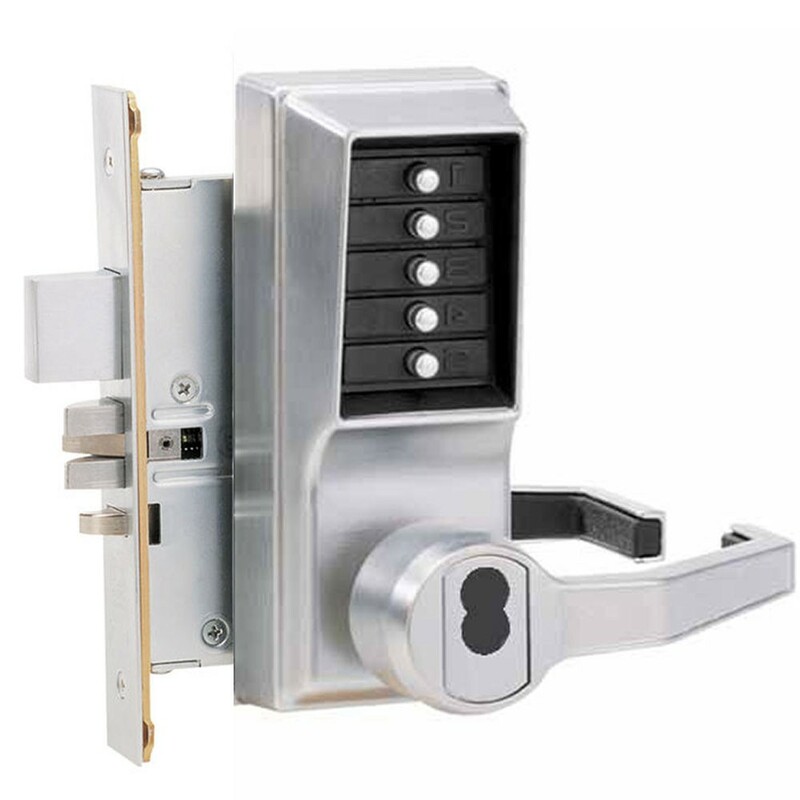 The Simplex 8148 model allows for exterior combination entry, has a key override option (core is not supplied with lock) and passage mode which allows access without using the lock entry code by activating from the inside with a thumbturn or key. However the core is not supplied with the lock. In addition to that it has a lockout mode which disables the lock from the inside so that the entry code cannot be used to gain access. Access is permitted using the key override only. 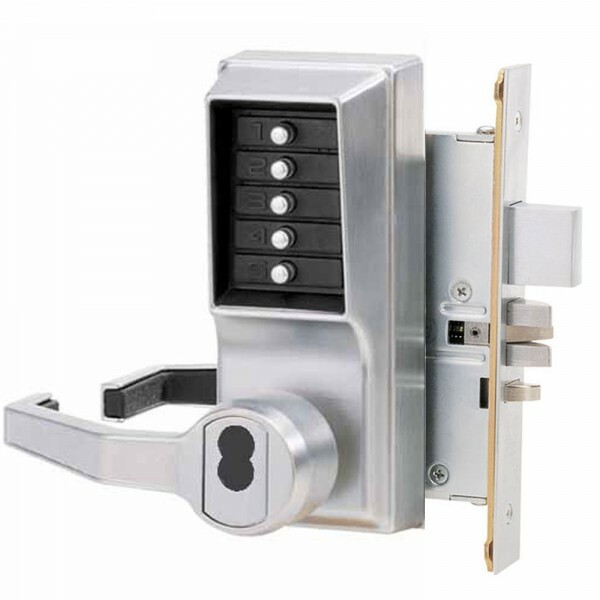 It also has added security of 1" deadbolt where access permitted by combination or key override.